Taking over an aged care park thats about to loose its pstn copper access by years end. Looking at freepbx, for the office only about 17 sip phones, but the tenants, there’s 960 of them and they will be staying copper - we have sourced analogue gateways so thats not a problem, but to build/but a 2RU server powerful enough is the question, we are told to assume 1:1 call volume and they intend to double that within next two years, so we are looking at up to 2000, not just registrations but actual concurrent calls, take into account a few office on holds, voicemail, all the transcoding, what type of hardware system would be recommended for this? Is there a known in-use real-life-working formula? Only formula I know of is the bandwith avg 90kbs per call, as they have fibre obviously thats not a problem. A FreePBX system can’t handle anywhere near 2000 calls, unless you can configure it to re-invite media to flow directly between the analogue gateways and trunking providers. Of course, that means no transcoding, call recording, encryption or listening for DTMF commands. If all of the above are avoided but Asterisk must still proxy the media, an i7 with sufficient RAM is good for ~200 concurrent calls. OTOH, your requirements seem far off the mark. I have a friend with both an assisted living facility and a convalescent hospital. At the former, most residents prefer their mobiles and ignore the house phones. There are many reasons (existing contact lists, scheduled DND, bluetooth connection to hearing aid, can get calls at dinner, etc.) He has one PRI for ~150 units and has never seen more than 15 channels in use for resident calls. At the hospital, the patients are too sick to use the phones much, spending their time asleep or watching TV. It’s rare for even 5% of phones to be in use. Also, depending on facility policy, residents who get assistive devices are likely to connect to their own service and bypass the house system. Sangoma sell a single pbxact unit that can do 1500 concurrent, so no doubt its possible, we’ve used grandstream ucm 6510 that easily do 200 concurrent in resorts and its a very very basic bit of kit. They have no problem paying 8K for a beefy HP server to do the work - since the 48 port gateways are costing 1100 each. These residents use the phone system to communicate internally, onsite medical, general office etc, and make outside and receive inbound calls, they get this free (well, no doubt its not free but included in their monthly management fees, but they dont get billed for any calls, and with free calls, it sees a lot of use) there is also an internal dslam network which provides their internet, so they have got the copper lines anyway. This facility doesnt just have sick 90yo’s in it, anyone over age of 65 is eligible to become a resident, just because your experience doesn’t show a high landline use, please don’t assume everyone’s is the same. Wow. I’m very surprised, especially the resort site. When they go to a resort, most folks I know don’t make any calls – they are there to get away from the rat race. Sure, they may call the front desk for room service or a massage, but these are very short duration calls and don’t add up to much concurrency. I’m curious what country your senior living site is in. … since the 48 port gateways are costing 1100 each. Would https://www.amazon.com/Grandstream-High-Density-Analog-Gateway/dp/B00CSGZAJ0 meet your needs? If you’re buying a pallet load, you could probably get them factory direct for less than half your current price. It may make sense to split the system into e.g. 4 servers with ~500 extensions each. There is a little more complexity for the inter-system trunks, but scaling would be easier and you’d be confident about capacity issues. It might actually cost less, since the on-site spare would be a small server. It’s why we are looking at a self build machine to handle the volume, and not attempting to try squeeze more out of the pbxact unit from sangoma that allows 1500 concurrent, they are exponentially more expensive here, at present to compare, get the US price and multiply US price by 141% and thats without shipping (although I find when you spend over 20K with someone, they do tend to cover the shipping and insurance costs). Even the grandstream UCM 6202’s we usually deal with are about half the price in the US to here. Sangoma makes nice commercial products, I’ve worked with a few of them, but they are just way too expensive in this part of the world compared to other established alternatives (not just pbxact devices, but their vega 3050 is over 3K here and it doesnt even have port status leds, this is 2019 yeah? ), which is a shame, I really love freebpx’s interface. Also as to freepbx/asterisk not being able to handle 2K concurrent calls, I would honestly be shocked, because as asterisk is a SIP pioneer, I’d be hard pressed to find they are so much lacking compared to broadsoft’s broadworks (the software nearly all hosted sip providers use) that certainly can handle that volume easily, so how could asterisk be left so far behind itself. (we have considered broadworks, but again - cost. Unless you want to roll up your sleeves and delve into rebuilding asterisk from source and seriously tweaking the OS. . .
on very high end hardware. Be mindful that asterisk is a b2bua so 2000 concurrent calls are upwards of 4000 open channels, each with several threads and each requiring separate stack and heap space. The only metric pragmatically available is to build it and test it in your environment. That is completely incorrect. Asterisk can handle 2K calls and more if you have a proper system in place. I have an Asterisk system that does about 1800 calls at once, it’s its only job for alerts. Also, the suggestion of a SIP Proxy is not a bad suggestion however Asterisk is still going to need to be involved. Most SIP Proxys don’t do media or transcoding so you would still need something at the SBC level for that and you’ll still need Asterisk for everything else like voicemail, etc. That will require things like MWI subscriptions and notifys to have to flow through the proxy to/from the endpoints. The real trick here is going to be the copper lines. 960 residents with DSL and voice service over their existing copper, what’s the plan to continue to make that work? I get you’re ordering a bunch of 48 port FXS gateways but then what? How do you plan on connecting their house phoneS (yes, plural) as they are probably all wired to the house DMARC which is where the copper would be connect for the DSL/phone service. Even if these are apartments there is more than one phone jack in the residence, correct? So how do you light up all the phone jacks in a residence and get them back to your 48 port FXS gateways to give them a connection to the PBX? Remember that copper is there for the DSL and is connected to a DSLAM, you just can’t randomly re-purpose that copper and have it at both the DSLAM and the FXS gateways. Let’s also be perfectly honest here, you’ll never see 2000 concurrent calls on the PBX. It’s just not going to happen. It would require that every phone be in use at the same time. Do you really think you’re going to have 960+ residents and all 17 people in the office on calls at the same time? Not likely. You should be looking at actual call data to determine how many calls actually happen at a single time so you know what you really need. You’re guessing right now. Right now your biggest concern should be how you’re going to wire 960 residents to the PBX and not break the DSL services that are running over those copper wires. Because right now that copper is terminating from A (the DSLAM) to Z (residence) so it’s going to be interesting how you’re going to make it terminate from A (DSLAM) / B (FXS Gateway) to Z (residence) and still deliver the DSL without degrading it and have it do standard voice over the copper, again without degrading it. So what is the plan for that? The “other side” of the DSLAM of course, the same way that the Telco’s do it in the CO.
Execpt for the fact that one side of that DSLAM needs to connect to the Telco to get out to the Internet. There has to be something coming into the premises to plug into that DSLAM for the service to work. Right now it’s hard to determine if they have an on-premises PBX or are they getting voice service directly from the Telco? Is the DSLAM there just for the Internet? What type of DSLAM is it and what is it using? Is it an ATM, Frame Relay, IP, a combo of those or all of those? They could have an onsite DSLAM just for the Internet and that copper is a “dry loop” with no voice on it. It could be there with xDSL Filters that are filtering the voice and the data. We just don’t know. To assume you can just re-use that copper or the DSLAM without understanding how it is actually setup and configured can cause some serious issues. The OP also pointed out that the facility is losing their copper PSTN access so it sounds like they have lines directly with the Telco. So again, are they using the DSLAM to provide both? Or are they split up and each voice line is individual. At best those FXS gateways can use 50-pin to connect to a 66 block or something to connect them to the other side but that is if every residence is wired up properly. To connect to the DSLAM they would need this for sure as doing individual FXS/FXO ports just ain’t happening. There are a lot of factors here that can make this go sideways or inject more work and/or costs that haven’t been considered yet. Execpt for the fact that one side of that DSLAM needs to connect to the Telco to get out to the Internet. Not when they are becoming the dialtone. I believe that is what he said. The whole point of a DSLAM aka Digital Subscriber Line Access Multiplexer is exactly for providing DSL based Internet services. You would not have a DSLAM just for voice services, that’s not what it is for. So it is providing at least the Internet and it could be providing the voice. Don’t quote me out of context or incompletely. They could have an onsite DSLAM just for the Internet and that copper is a “dry loop” with no voice on it. That is what I said, in complete context. We’ve already established that there is a DSLAM on-premises but what hasn’t been established, as per my last post, is what is the DSLAM doing? How is it configured? Those are all important factors to known and understand before you just decided you can use the copper in place for the DSL services. If the DSLAM is not setup for filtering the voice (routing it another way) and the data (the DSL) you are going to be in an impossible place because it will require the DSLAM to be upgraded or wiring to be done. Just because something is already there doesn’t mean you can just willy nilly decide to use it. This is akin to my hotels calling me because they wanted to add something to the network and they just picked a random port on my router to use but it won’t work. Why? Because my stuff is setup to not allow just anything to be connected and have access. I’ve had quite a few make plans with third party vendors under the assumption they could just use my router and it would be cool. It’s not and it screws up their (hotel/3rd party) plans. Because this also begs the question, who’s DSLAM is it? Did the Telco put it there as part of their solution or is this managed and owned by the property? If it is the latter then I doubt the Telco is going to take kindly to someone just messing around trying to connect stuff to it. The whole point of a DSLAM aka Digital Subscriber Line Access Multiplexer is exactly for providing DSL based Internet services. Having spent 7 years with AT&T (SBC -> Advanced Solutions Inc -> SBC -> AT&T) working in the DSL offices, I believe I know what it is. That is the question. But the impression I got was that it was his. Thus he simply removes the Telco side and puts his gateways in place. The Telco side then gets ported to a SIP carrier or just goes into the PBX. So then you completely understand what I am getting at. If this is the Telco’s DSLAM then he has no right touching it. Is the DSLAM setup to handle voice on top of the Internet? If it is not, then it needs to be if the idea is to using existing copper that the DSL Internet is going over. Don’t assume that someone else’s infrastructure and equipment is there to be freely used by you. Could the existing DSLAM and copper be used for this? Sure. Will the Telco allow it? That is a question that has to be posed to the Telco. Will it require any additional equipment, wiring, etc? Don’t know. Because we don’t know the exacts. You can agree on those points, yes? No one is doing 960 calls at once from a retirement home. That is just silly to think that. Referring to a 1:1 setup means that each residence should be treated as they have their own line. That would be things like voicemail, *69 (call back), standard feature codes, call waiting, etc. It doesn’t mean there will be 960 active calls going. It also means they will have their own DID which will be a direct 1:1 match of DID -> Extension. Before chastising people about their experience, you should have a basic understanding of what you are chastising them about. 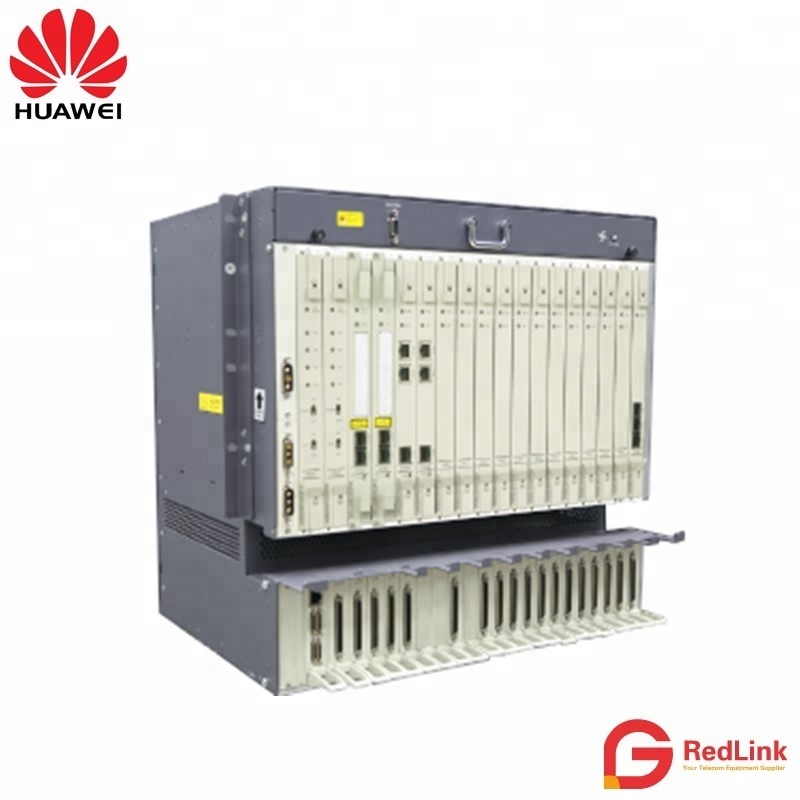 Ip Dslam Price Xdsl Pots Msan Huawei Dslam Ua5000 , Find Complete Details about Ip Dslam Price Xdsl Pots Msan Huawei Dslam Ua5000,Ua5000,Huawei Dslam,Msan from Supplier or Manufacturer-REDLINK TELECOM CO., LTD.
Huawei are serious Telco. Manufacturers. They make modular DSLAMs that can have sip/ss7 interfaces eliminating the need for the fxs channel banks.